Our day began in front of the R&J Toffees Booth, where the toffee samples were abundant. R&J Toffees are created in small batches in San Jose, California. This means that there is greater quality control over the final product. 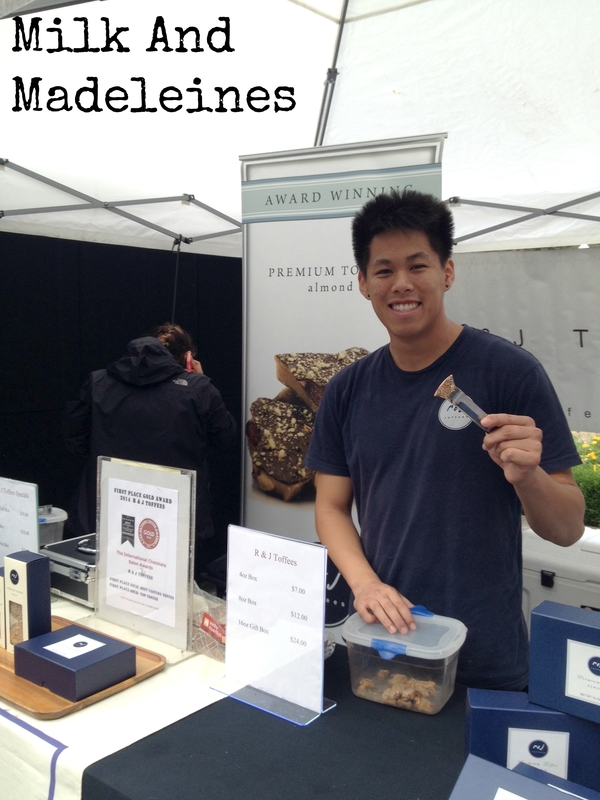 The gentleman pictured above was more than congenial about answering our questions, and willing to offer second-and third generously sized samples of this lush, almond studded award-winning toffee. I can see why R&J Toffees have won First Place Gold Best Taste, and First Place Gold Top Toffee by The International Chocolate Salon, and Taste TV. The texture of the toffee was crisp, not dense. Each nugget of toffee was bursting with flavors of smooth vanilla, buttery almonds, and creamy chocolate, with a hint of salt. Needless to say, I walked away with an 8 ounce box. 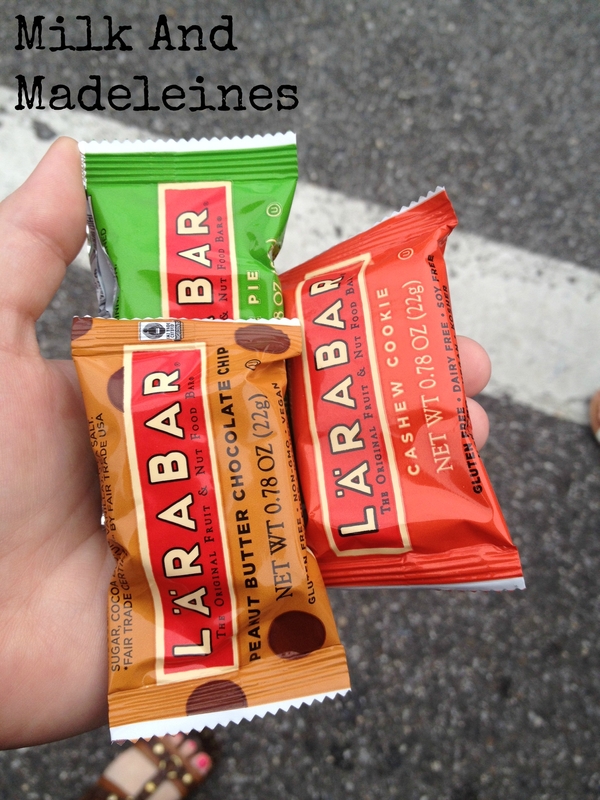 The free samples were also abundant at the LÄRABAR booth, in peanut butter chocolate, cashew cookie, and apple pie flavors. Each LÄRABAR is gluten free, soy free, and tastes indulgent. My first real meal of the day was a simple chicken tamale from The Tamale Factory. 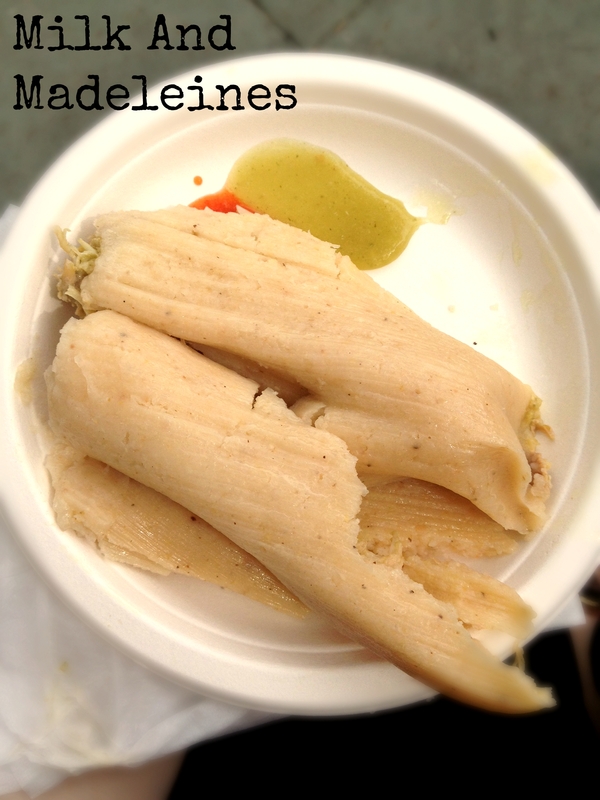 As I eat these tamales, my mind manifests visions of abuelas sitting around a table making big batches of tamales, lovingly spreading masa onto each corn husk, while joking and gossiping about deliciously scandalous things. It was difficult for me to only eat one. The luxuriously dreamy masa on the outside, and perfectly spiced chicken on the inside left me yearning for more. Some people love fried calamari, but prefer the rings over the legs. Or vice versa. Some people love both. I love both. 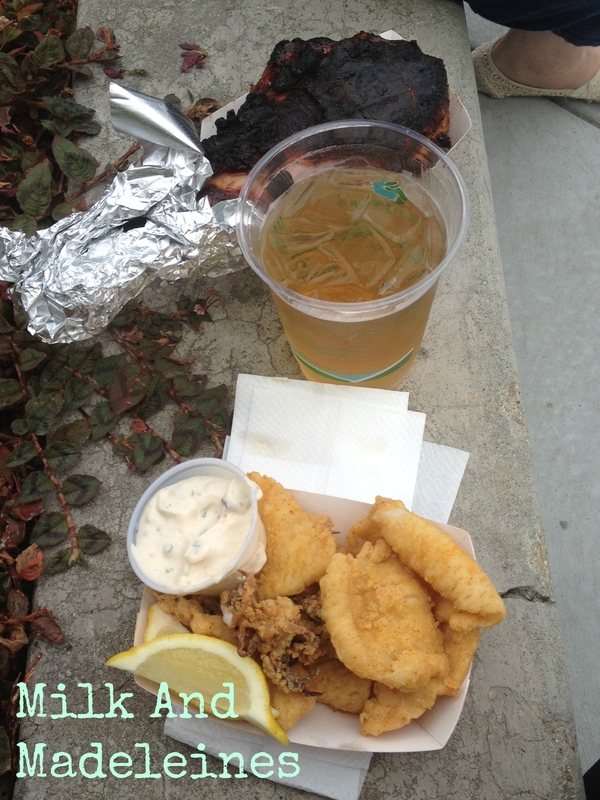 This fried calamari basket was a perfect combination of both parts. Each piece was tender on the inside, with a beautifully crispy batter coating on the outside. The sauce was creamy, with a bright, briny tang. The combination was absolutely ineffable. A smoked turkey leg does not taste the same as a roasted turkey leg. 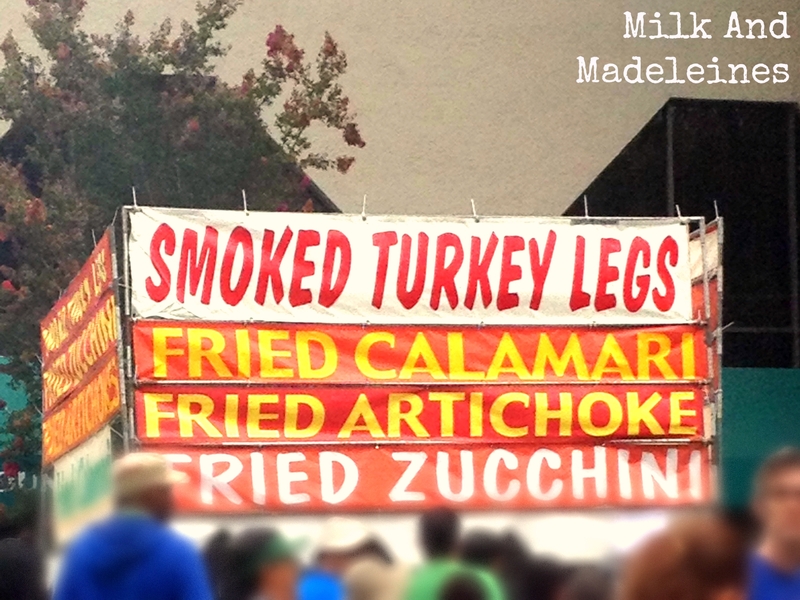 The characteristics of a smoked turkey leg are completely different. A smoked turkey leg encompasses the flavor of ham, the texture of corned beef, and the smokiness of barbecued beef brisket. Combine all of the ingredients, except for the split peas. Simmer for 1-4 hours, until the water has darkened into a golden honey hue. This can also be done in a crock pot, on low heat overnight. Carefully remove the bay leaf and bone from the pan, peel the meat off the bone, and reserve. Discard the bay leaf. Add one pound of split peas to the pot, and stir. Simmer until the split peas have softened, about 45 minutes. Add the shredded smoked turkey, warm through, and serve. The Patrick’s Famous Pies booth was packed with customers. 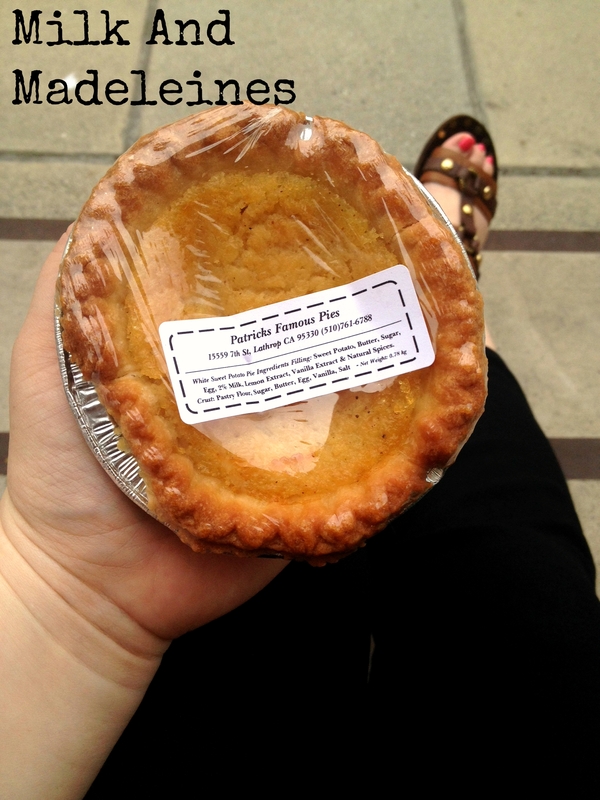 I practically had to elbow my way to the front to try a free sample of their white sweet potato pie. This pie was well worth the wait. White sweet potato pie is not unlike a traditional orange-colored sweet potato pie in terms of spices. The difference lies within the texture and sweetness. White sweet potatoes tend to be less stringy in texture. The natural sweetness allows these miniature pies to be diabetic-friendly in nature. Patrick’s is well-known for the fact that there is very little sugar added to their signature pie recipe. I felt as if I was having an out of body experience as I ate this pie. The white sweet potato custard was divinely smooth, with gentle tones of ginger and cinnamon. The crust was buttery, slightly savory, and almost resembled a flaky shortbread cookie in texture. With custard-style pies, this is important, because the crust needs to be substantial enough to serve as a proper vehicle to hold such a luscious filling. 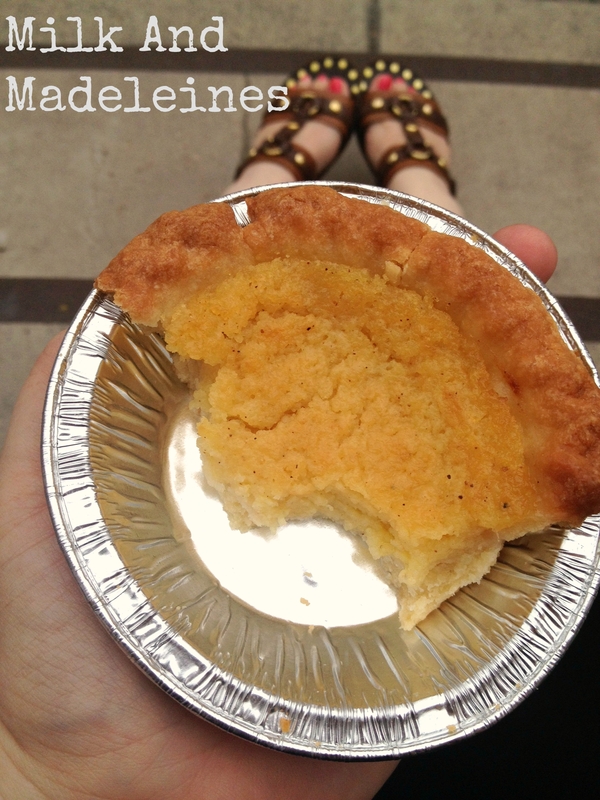 Patrick’s Famous Pies are a food festival favorite, and I have to admit-I am now a huge fan. The Mountain View Art & Wine Festival truly allows the people of the community to experience local flavors. Small businesses really shine at these events. < Previous To Freeze/Make Ahead, Or Not?